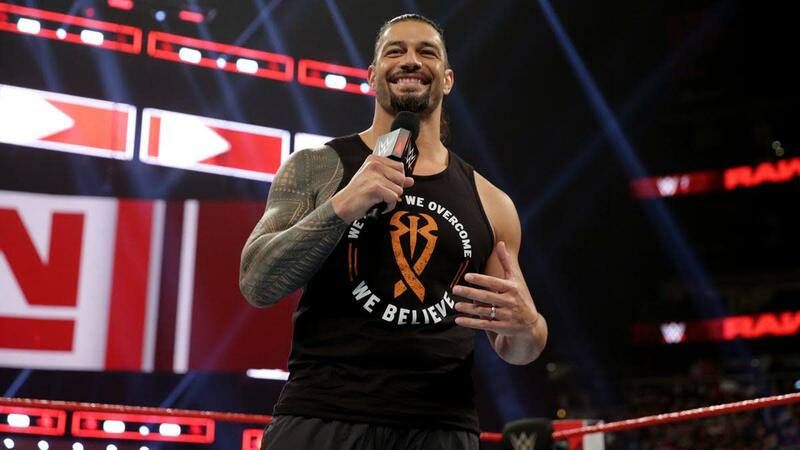 After appearing on Raw and announcing that his leukemia is in remission, Roman Reigns shared the news with Good Morning America on Tuesday. Reigns discussed being a role model to young fans, how his family helped him through everything, and feeling like he was surrounded by guardian angels during this battle with leukemia. Reigns said he wants to create awareness through the platform he has in WWE and be a symbol of hope to people, but he noted that "we're not just gonna talk about it." Reigns said they're in the process of creating funds and foundations to help. In addition to his announcement on Raw, Reigns and Seth Rollins saved Dean Ambrose from Drew McIntyre, Baron Corbin, Bobby Lashley, and Elias on last night's episode. Reigns hit Superman punches on McIntyre and Lashley and laid out McIntyre with a spear.